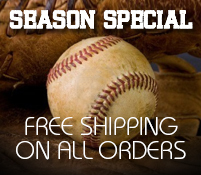 Our Mailing List Consists Of Newsletters, Free Sport Tips, New Products And Money Saving Specials. 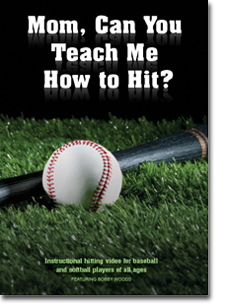 Mom, Can You Teach Me How To Hit? Bobby Woods is pleased to announce his partnership with Rawlings, Worth & Jugs Sports. Save 15 to 25% on their products. Woods’ instruction is peppered with phrases like “muscle memory”, “weight transference”, and “stimulus response”, but the video is so carefully organized by segment and the terms so clearly defined verbally and visually that any intimidation felt by parents – of either gender – will be successfully relieved. Bobby Woods,a former Professional Baseball Player of the Chicago Cubs Organization and Arizona State University graduate shows you the most important principles of hitting, including the "Top Hand Release" style of hitting used by former and current major league superstars Willie Mays, George Brett, Tony Gwynn, Cal Ripken Jr., Derrek Lee, Albert Pujols, Shawn Green, Manny Ramirez, Bernie Williams, Johnny Damon, Ryan Howard and many others! Former Professional Baseball Player of the Chicago Cubs Organization. Bachelor of Arts in Education from Arizona State University, which has one of the best baseball programs in the country. A Master's Degree in Health and Physical Education from Rowan University. Helped select the 1983 United States Pan American Games Baseball Team. Won five Coach-of-the-Year Awards at the High School and College Level. Member of the Association of Professional Ball Players of America. 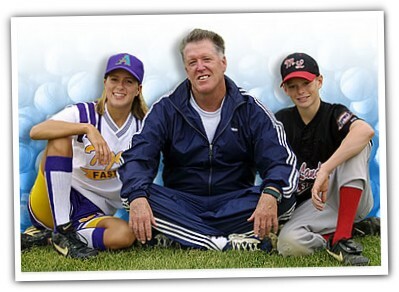 Runs nationally known clinics throughout the year. More than 30 years teaching experience. This video is distributed by Bobby Woods Productions, LLC All Rights Reserved.